Whenever I ask my kids what they want for dessert, most of the time their answer is popcorn! Most kids their age would be asking for ice cream, cake or something similar... but not my kiddos. They love popcorn and eat it any chance they get. As a mom that wants to make sure that my children eat healthier options, knowing that Jolly Time popcorn contains the Smart Balance patented blend of oils that help support heart health, and their exclusive natural ButterCrisp flavor that makes it delicious! Every handful is perfectly light, fluffy, and crisp. Their 100% whole grain kernels are packed with mouth-watering, melted buttery goodness with zero grams of trans fat and zero hydrogenated oil. Popcorn makes the perfect snack for at home or while on the go. It it quick and easy to make, in fact my kids can put a bag in the microwave and make themselves a quick snack without needing any help! Perfect for dessert, movie night, or just because! I recently made the switch to Smart Balance Jolly Time popcorn and my kids didn't even notice. They love it just the same, and I'm happy to be giving them a healthier version of their favorite snack! This giveaway will end August 2nd at Midnight EST. 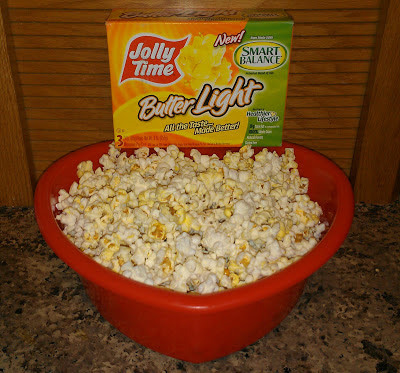 Disclaimer: I received complimentary Jolly Time popcorn prize pack for the purpose of writing a review and hosting a giveaway. Regardless, I only recommend products or services I use personally and/or believe will be a good fit for my readers. The views and opinions expressed on this blog are purely my own. Results may vary. No monetary compensation was received. The 100 Calorie healthy pack. I want to try the Big Cheez! 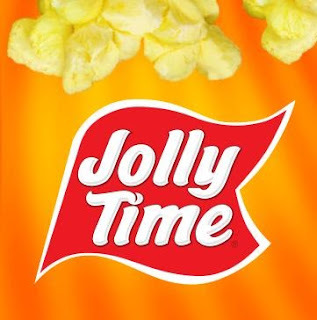 I think the Jolly Time Popcorn I would like to try would be the 100 Calorie. I want to try Blast O' Butter, The Big Cheez, and Mallow Magic!!! They all sound delicious! I would love to try the Jolly Time Crispy 'n White® Light. It sounds delicious. I'd love to try KettleMania. I'd like to try the Mallow Magic popcorn. It sounds good! I'd like to try their Low Sodium 100 Calorie Healthy Pop® Butter. I'd love to try the homemade! I would like KettleCorn Kettlemania. I love kettle corn, but have yet to see the Healthy Pop version in stores. I will be looking harder for that. Mallow Magic sounds like something my daughter would like. I would like to try Butter flavor.